Watching what you eat, counting carbs, and planning meals can make it difficult to follow a diet. Following a diet is especially tricky when you do not have the budget for three full meals prepared from fresh ingredients. 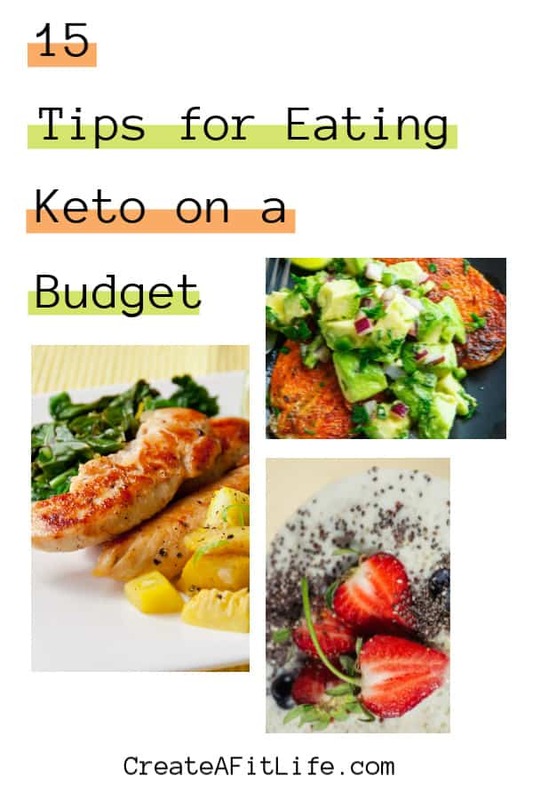 If you want to do the keto diet on a budget, there are a few tips and tricks that you can use. By making better use of your leftovers and finding cheap keto meals, you can avoid spending too much. Here are the top 15 ways to cut down your food budget for the keto diet. The first step in saving money on the keto diet is to plan your meals. Each week try to choose meals that feature a lot of common ingredients. For example, you can have chicken throughout the week and use various recipes to prepare it in different ways. The following week, you can use turkey or fish as your base ingredient. With an ingredient getting used in various meals, you are less likely to waste any of it. You can easily use leftover meat from dinner for lunch the following day. When you use the same ingredient for multiple recipes, you can also purchase larger quantities, which typically provides more savings. In fact, you should plan on purchasing certain foods in bulk. You can always freeze extra meat or vegetables. One of the best ways to save money on food is to get to know your local grocery store. When you regularly shop at the same location, you get to know the types of deals that they offer and the amount of savings that you can expect. Most grocery stores release a circular containing their latest sales. These ads are often placed in mailboxes each week or the local newspaper. You may also find copies of the sale ads online. Search these advertisements when planning your meals to find out what items are on sale each week. Try to base some of your meals around the items that are on sale to save money. Purchasing chicken, ground beef, and other meat can be the largest part of your food budget. It’s incredibly disappointing when any of it gets wasted. Besides using your leftovers, you should ensure that you are purchasing meat when it is freshest. It’s hard to plan keto diet meals on a budget when your meat constantly goes bad. Find out what days of the week your local grocery store restocks their meats. Most meat departments prepare certain cuts or types of meats on specific days. These meats often have a sell-by date set for one week later. If you purchase the meat when it’s first put out, you may avoid letting any of it go bad. Besides meat, some of the most expensive ingredients in a typical keto diet include olive oil, coconut oil, nuts, and various low-carb snacks. When you purchase these ingredients at the local grocery store, you may pay a premium price, especially when buying name brand products. Instead of buying the most expensive items at your grocery store, visit a discount store. Many dollar stores carry generic versions of these items at much lower prices. While you may still purchase produce and meat at your trusted grocery store, you may save quite a bit at the discount dollar stores. If you have an Aldi Store in your area, they are a great option for lower cost foods. These days, you can buy almost anything online, including your groceries. While you may pay more for certain items, there are ingredients that can be found more inexpensively online, especially when you buy in bulk. For example, you may stock up on inexpensive almond flour or coconut flour that you purchase online. Like shopping at the discount stores, you should search for ingredients that have longer shelf lives, such as oils, flours, nuts, seeds, spices, and herbs. You should also search for coupons on the foods that you buy most frequently. Some grocery store chains even offer digital coupons, which will allow you to save money while still buying locally. Buying fruits and vegetables outside of the standard season can result in higher prices. If possible, try to purchase your produce items when they are in season. The fruits and vegetables tend to be less expensive and taste better. Most fruits and vegetables can be frozen, allowing you to purchase produce that is in season and save it for later. Keep in mind that some produce is almost always in season. Bananas are always affordable. Broccoli, mushrooms, and pineapple are in season during the spring and fall. Another way to save money is to find cheap keto recipes that only contain a few ingredients. You do not always need to add a dozen spices and herbs to every meal. When you use recipes that contain a minimal amount of ingredients, you tend to spend less per meal. There are hundreds of cheap keto meals that only use a few basic ingredients. These meals still taste great, and they are easy to prepare. It’s also easier to use leftover ingredients in other meals when they are not coated in herbs, washes, or sauces. While finding recipes that do not include a lot of extra ingredients may help you avoid unnecessary purchases, using herbs and spices can help your meals taste better. With these extra ingredients, you can spice up inferior foods. For example, you may not like the inexpensive meat that you buy to save money. With the right combination of herbs and spices, you can give the meal more flavor. Planning your meals is a good way to choose the least expensive ingredients and stick with your diet. However, you also need to write your grocery list before you go shopping. Create a complete list that includes all the ingredients that you require for your planned meals. Without a list, you are more likely to buy random foods that you do not really need. You may even buy snacks or processed foods that cause you to stray from your diet. Spending less time in the kitchen should help you avoid overeating or snacking on foods that you need for your planned meals. If you take care of your prep work for the entire week in a single day, you will spend less time near the fridge and cupboards. On one of your days off, measure out your meats, cut vegetables, and get items ready for the week. Keep in mind that some produce should not be cut more than a day before using. For example, a chopped apple does not keep well after chopping. However, chopped onion can be stored in the fridge for the entire week. When you freeze, refrigerate, or store food that you have opened or prepared, always add a date to the container. You can use a permanent marker to write on freezer bags. When storing food in a plastic container, you can write the date on a piece of duct tape or masking tape. Some foods can store for a day, a week, or months. Writing the date on the container helps you avoid letting the food go bad. Most beverages contain carbs, which you need to avoid while following the keto diet. However, you can purchase bottled water, bottled tea, and zero-carb soda. Unfortunately, these items are also unnecessarily expensive. Instead of trying to find the least expensive bottled water or diet soda, you should simply stop buying all types of beverages, other than beverages that you can prepare at home. You can buy tea packets and ground coffee. With these products, you can often prepare hundreds of servings for a fraction of the price compared to bottled products. Water is also an essential part of a healthy diet. You need to stay hydrated and most of your hydration should come from pure water. If you dislike the taste of your tap water, consider purchasing a water filter. You can find affordable water filter pitchers that you can keep in your fridge, allowing you to enjoy gallons of fresh water while saving hundreds of dollars, as opposed to buying a bottle of water each day. Eggs are incredible. They are inexpensive, nutritious, and contain zero carbs. Depending on where you live, you may buy a dozen eggs for about $1. By including more eggs in your diet, you may spend less. Scrambled eggs, omelets, and egg casseroles are affordable meals that help keep you filled without breaking your bank. For many years, people worried about the cholesterol found in eggs. However, studies show that you can eat several dozen eggs per day without any potential health risks, such as higher cholesterol levels. The keto diet and other low-carb meal plans are becoming increasingly popular. More food companies are trying to capitalize on this popularity by selling products aimed at low-carb dieters. You can purchase keto-friendly frozen dinners and pre-packaged meals or snacks. While it may be tempting to buy some of these items to save time, they are typically expensive. Instead of buying a single serving of mixed seeds for several dollars, you can buy the seeds in bulk and make your own small bags of mixed seeds. Almost any pre-packaged meal or snack that you find can be recreated using fresh ingredients for a fraction of the price. Besides avoiding pre-packaged foods at the grocery store, you should avoid restaurants. The amount that you spend on a single meal in a restaurant may cost the same as six or more homemade meals. You can recreate almost any dish that you find at a restaurant and spend much less. Unfortunately, it is not always possible to completely avoid going out to eat. You may need to celebrate someone’s birthday, a retirement, or a wedding. You may not have the option to decline the invitation. 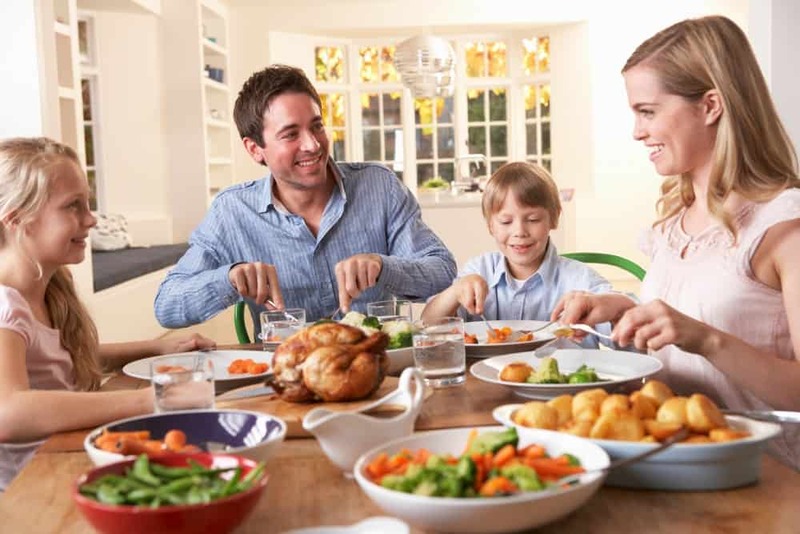 In these situations, eat a light meal before you go to the restaurant, and then find an inexpensive low-carb option on the menu. You can also avoid over-spending by not buying alcoholic beverages or appetizers. Almost every city has at least one farmer’s market. These markets allow local farmers to sell their produce directly to the public. You can buy fresh, locally-grown produce for much less than the prices in the store. In fact, you may save up to 50% compared to shopping for produce at a grocery store. You can spend less and get fresher fruits and vegetables, including organic produce. If your area does not have a farmer’s market, consider driving to the nearest one once per week to stock up on fruits and vegetables. Another option is to start growing your own produce. You do not need a lot of space to plant a few vegetables in a small garden, container, or buckets. There are dozens of ways to save money on your groceries and stick to the keto diet. However, most of these methods require extra time out of your day. You may need to search for deals online and review the weekly sales ads at your local grocery store. You may also need to buy food in bulk and freeze or store the leftovers. When you ignore these tips, you save time and spend more. You are paying for the convenience of not having to be smart about your grocery purchases. If you want to stick to a tight food budget, you need to take the time to plan your meals and find the best deals.